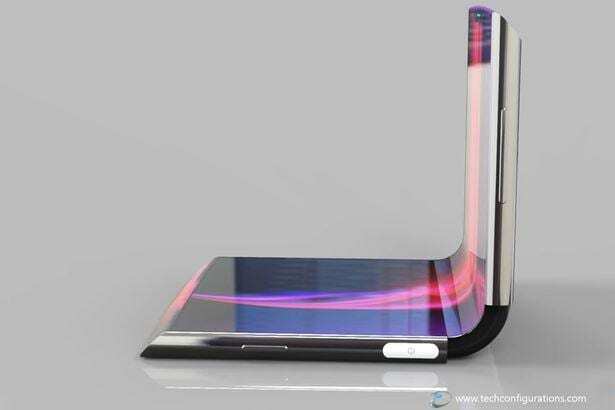 Virtually everyone would love to see how a transparent, foldable phone will look like. That should be a very special smartphone that combines two special features in one device. Now, reports are out that Sony could be working on a rather remarkable smartphone concept, and the news is coming from a patent company. It looks as if Sony has submitted this concept a patent body. This patent documentation, it is remarked, appears to show plans for a dual-sided transparent smartphone, as well as for a foldable transparent smartphone which would see sci-fi dream potentially become a reality. This patent is also said to be filed back in May 2018 with the World Intellectual Property Office (WIPO). Now, it is being published to the world. The news first came around on November 22, 2018 and is being spread online at the moment. The news is accompanied by a sketch of what appears to be a rollable device display. This means that Sony has a lot of ideas it is playing with at the moment. However, we can’t tell when this transparent, foldable smartphone will arrive because it seems that fans may have to wait for years to get it. So, this technology is still way off. Now, some aspects of the phone is coming to light. For example, the fingerprint scanners are showing face and becoming embedded into displays. Soon the sensors too will appear, followed by earpieces and selfie cameras that will find their way beneath the screen of the foldable, transparent phone. 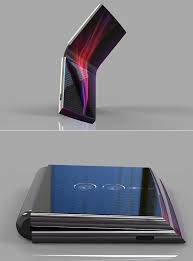 We don’t know how Sony will arrive at producing a foldable transparent display yet for experts believe that this is going to be a very complicated step. However, with improvement in technology, it could soon become a reality in our hands if the phone is finally released. Regarding the name, it appears that Sony will also like to call it Xperia. A Dutch news outlet already confirmed this, but we can’t actually tell what the company will call the smartphone when it finally arrives on board. Both Huawei and Samsung have already indicated interest in planning to release foldable smartphones from their companies but none of these companies are saying anything about a foldable, transparent phone.